Observation deck on the AmaSonata, Passau. Many of you have never taken a river cruise, are curious to try one, and write to me asking which you’d enjoy most. It’s tough for me to answer because river ships have many more similarities than differences. Some seem almost interchangeable in their architecture, itineraries, and daily routine. The biggest differentiating factor is usually the river itself—the scenery (castles? farms? vineyards? trains? autoroutes? industrial stretches? ), the amount of boat and barge traffic, and the shape of the river (its width, and the number of twists and turns). Honestly, the biggest determinant of which cruise you’ll end up on is probably which ship has cabin availability for your travel dates and a price tag that suits. * A top-floor outdoor observation deck, with chairs and a shaded area. * A large, indoor, glass-walled observation lounge at the front of the ship. * Three meals a day and group shore tours included in the price. * Free coffee, cappuccinos, hot chocolate, and little snacks (usually cookies and fruit) available all the time in one of the lounges. * Free but intermittent Wi-Fi. * A buffet for breakfast; a buffet for lunch; and four-course (at least), two-hour dinners. Meals happen at set hours, and you cannot be late to dinner. You may end up dining with people you don’t know. * Passengers from North America and sometimes other English-speaking countries. * A cruise director to answer your questions about which excursions might suit you best and which stretches of the river not to miss. * A group-tour approach to travel. Most river ships are run by tour companies and thus operate a river cruise like a group tour, only you’re moving by boat rather than by bus and you needn’t switch hotels every couple of days. Note to those of you who hate group tours: Nobody hates group tours more than I do. But I like river cruises because I love boats and I love gliding past all that scenery and history. I also love a room with an ever-changing view out my floor-to-ceiling window. So I use the ship as scenic, effortless sightseeing and transportation, and I explore the ports on my own. So those are the similarities. Now for the differences. Keep in mind that each line has a variety of ships of different ages and sizes, and with somewhat different features; the summaries below tend to describe the newer ships in each fleet. • You get a lot of living space—relatively speaking—and creature comforts. Many cabins have two “balconies”—an “outside balcony,” with a table and chairs, and a “French balcony” that’s floor-to-ceiling glass that opens. The cabins have a large flat-screen infotainment system that’s both TV and computer, with movies, music, and a bow cam. • There are two dining rooms and a focus on regional cuisine. 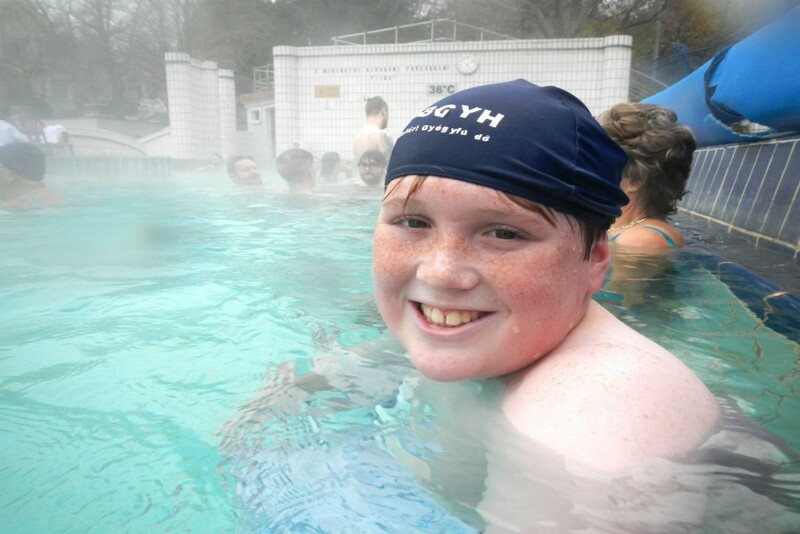 •The service is attentive to travelers with special needs. • There are bikes, perhaps a small outdoor heated pool, a beauty salon, and a massage therapist. • Who I’d send on AmaWaterways: Foodies who need their creature comforts. • Here’s more in-depth info from Cruise Critic. 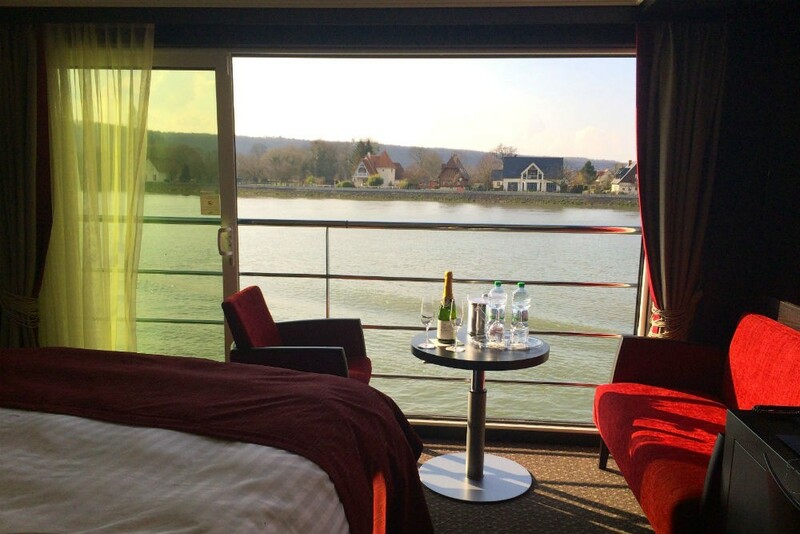 My cabin (#312) aboard Avalon Tapestry II on the Seine River in Normandy. • The tour guides are better than most because the shore bus tours are run by Globus, the group-tour operator that owns Avalon Waterways and has been running tours for 85 years. • There’s a second dining venue in the observation lounge; it offers a small-plate tasting menu. • Who I’d send on Avalon: Travelers who choose four-star hotels, who don’t mind group bus tours, and for whom the most important aspect of a cruise is the scenery. • There’s a pronounced emphasis on getting educated about the destination. Each cruise has three program directors who know the area and culture well and can answer all your questions in depth (which is a contrast to many ships, where the staff often can’t even name the river town you’re passing). • These program directors serve as your local guides in each port. This is in stark contrast to other river cruise lines, most of whom subcontract their shore tours to a local tour company; in each port you get a different guide, and some can be a real snooze. • Grand Circle tours tend to attract retired teachers and professors, so onboard you’ll find a lot of intellectuals and interesting conversationalists. Passengers are particularly friendly and extroverted too; there’s a real sense of camaraderie onboard. • Cabins are small and closer to three-star than four-star and have two twin beds rather than one queen-sized bed. • There are no bikes, pool, or beauty salon. • Who I’d send on Grand Circle: Retirees who want to stretch their dollar as far as possible in order to take as many trips as possible, and who value education and well-traveled fellow travelers over luxury. • It’s like living in a floating palace. The ships are splendiferously decorated, with regal furnishings and plush fabrics. Cabins have amenities such as custom-made Savoir of London beds, heated floors and towel racks, and a selection of movies on the TV. • There are bikes and sometimes a gorgeous heated indoor pool. • Who I’d send on Uniworld: Travelers who choose five-star hotels and plan to spend a lot of time onboard the ship enjoying its luxuries, plush salons, and food extravaganzas. • There’s an indoor/outdoor terrace where you can grab a quick dinner rather than having to sit through a two-hour meal every night. In nice weather, you can dine there al fresco. • The ship has a concierge who can make private shoreside arrangements for you. • There are no bikes, gym, spa, beauty salon, pool, or hot tub. • Who I’d send on Viking: Independent travelers who want to focus on the destinations, prefer not to explore with a group on a bus, and don’t want to pay for shipboard amenities that they’re not going to use. Have you sailed on these five river cruise lines? If so, please weigh in below and let me know if your experience onboard was the same as or different than mine. (Include which river you sailed on and the year you sailed.) Thanks! 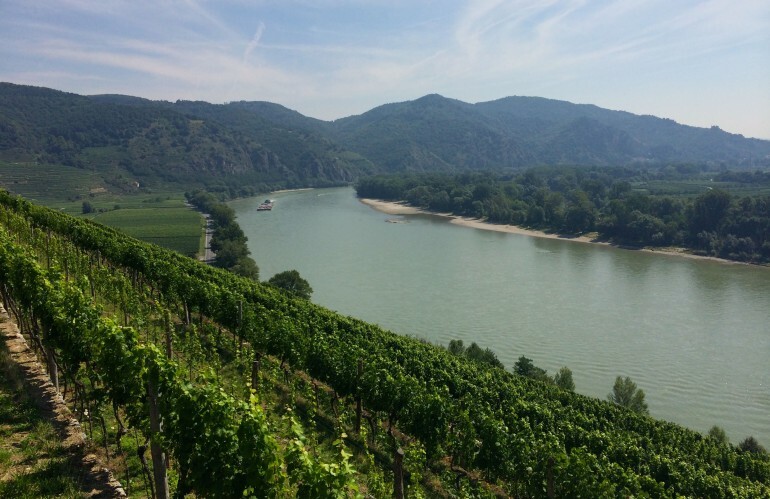 Wendy Perrin rates the Danube, the Seine, and the Rhine in this edition of her Ask Wendy travel advice column. Contemplating a river cruise in Europe? To get the best value for your dollar, here are seven things to keep in mind. Just completed my first Avalon cruise from Budapest to Prague. Low water levels cut the river cruise in half so that travel was by coach. This is a very real risk if you are set on a river cruise. The cruise director provided information mainly on optional paid tours and little about events happening in each city; we missed one of the best flea markets in Vienna that happens every Saturday . Some included amenities (e.g. rooftop bbq, onboard movie and karaoke night) never happened. Our window was blocked by other ships much of the time in ports even though the brochure said sometimes. Wait and room staff were stellar. The room configuration in our 2nd floor suite was great. Buffet lunches were excellent and full of variety, dinners not so much. Thanks for sharing your experience, Sam. Travelers can minimize such a risk by choosing the right ship and itinerary on the right waterway at the right time of year. If you click over to Ask Wendy, we can introduce you to a river cruise-planning expert who knows how such pitfalls can be avoided. We took a Scenic Cruise from Amsterdam to Budapest in July. It was our first River Cruise. The crew and service were 5 star. Every need was met. Special guides for slow walkers, bikes and hikes for the active traveler. Everyone spoke English . I would highly recommend this lines. I have been researching river cruises and trying to decide which company to select—Viking or Avalon. Your articles have been very helpful and honest. We sailed with Viking in 2014 (Rhine) and it was wonderful. We have travelled with Globus land tours (Avalon company) and considered that company in the past. So my decision is difficult. Thank you for all your ideas and considerations given to each cruise company. River cruise travelers must keep in mind if the river water is high, travel is on a motor coach . Don’t blame the cruise company for Mother Nature’s wrath. Just enjoy the ride. 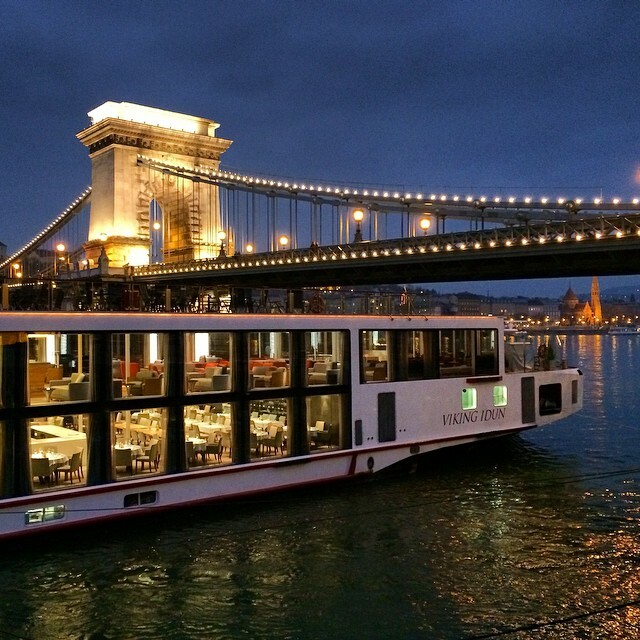 Emerald Waterways has a Bucharest-Budapest cruise that fits well into our itinerary. From your profile it sounds like Viking would be a good fit for us (but with a bit less optimal dates) so I’ll be giving them another look. I hope you get to try Emerald — would love to see where it fits in your review set! Do any of the ships offer two twin beds instead of one larger bed? Yes. Most do. Often the one large bed divides into two smaller beds (same as on oceangoing cruise ships). Wondering if anyone has gone with Viking or UniWorld on their Nile cruise? Thanks for this summary, Wendy. It is the most helpful that I’ve seen. I’ve have a hard time finding comparisons that include Grand Circle. Your summary is the best I’ve seen. 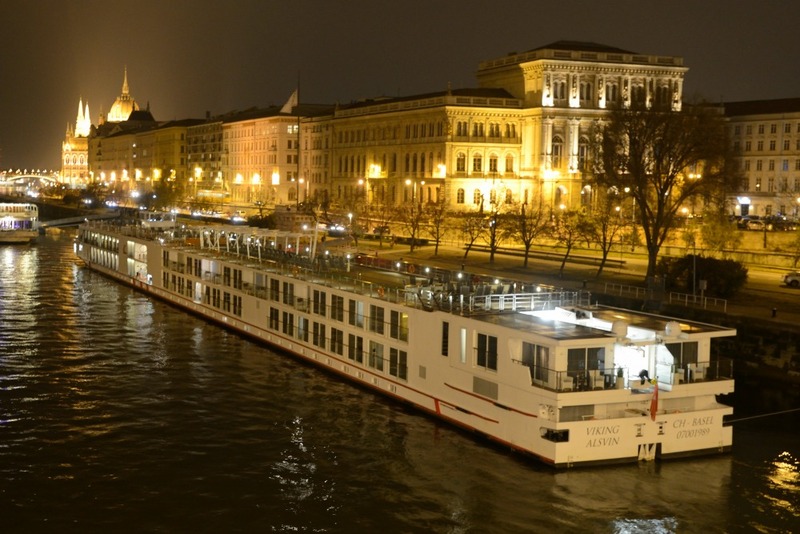 I really enjoyed your article and the comparisons made of the different river cruise lines. I have been traveling with Grand Circle for years and pretty much for reasons given. I don’t need a hair salon, spa, luxurious cabin, etc., when I travel. 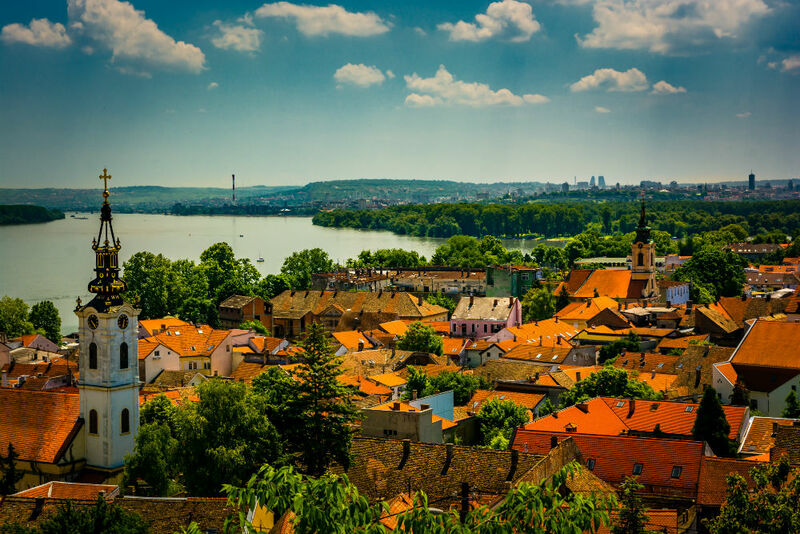 I go on river cruises to enjoy the countries I am visiting and to learn about the history and culture of the places I am visiting. Grand Circle provides great value for the money and I can take several trips per year with them. Many of their trips do not charge single supplements, and when there is one, it is very reasonable. I can also attest to the friendliness of the travelers and the sense of camaraderie developed with them. They have received rave reviews and honors from Conde Nast for many years. Karen, thanks for letting us know about Scenic. I’m sure you understand that I can’t review a cruise line unless I’ve actually sailed on it. If I ever get the chance to experience Scenic first-hand, I’ll be sure to review it. 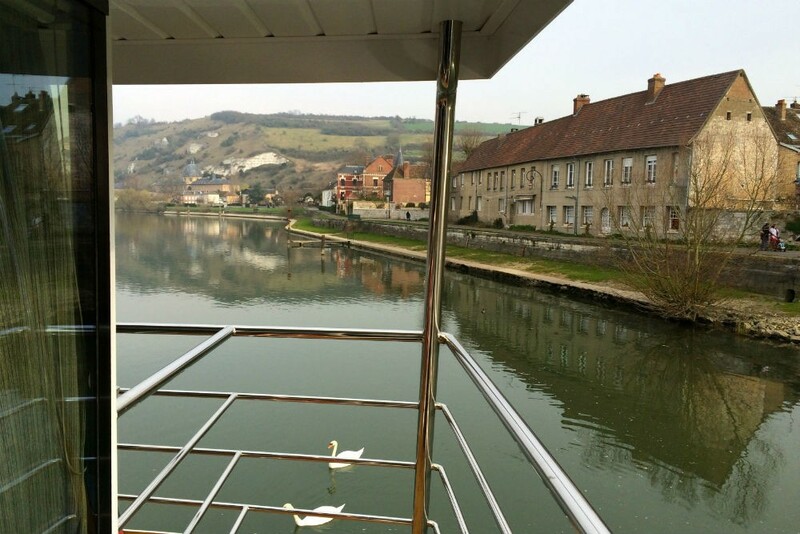 We travelled with Uniworld, on the SS Antoinette in September 2014. Castles of the Rhine. Although I have done a few cruises nothing compares to this. Even though we prefer independent travel, we were not troubled by the group traveling. The different tours are age specific but some people still come on the more active tours, but the guides eventually leave them behind. I have to admit the even though were are 55 en 60 years old, we were one of the youngest couples on board. I cannot find fault with anything, the staff, the food, the entertainment – everything was out of this world. 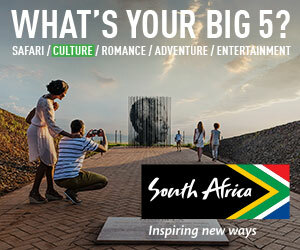 I do admit it is very expensive for South Africans, but if you have the chance , spoil yourself!! Great article, Wendy. 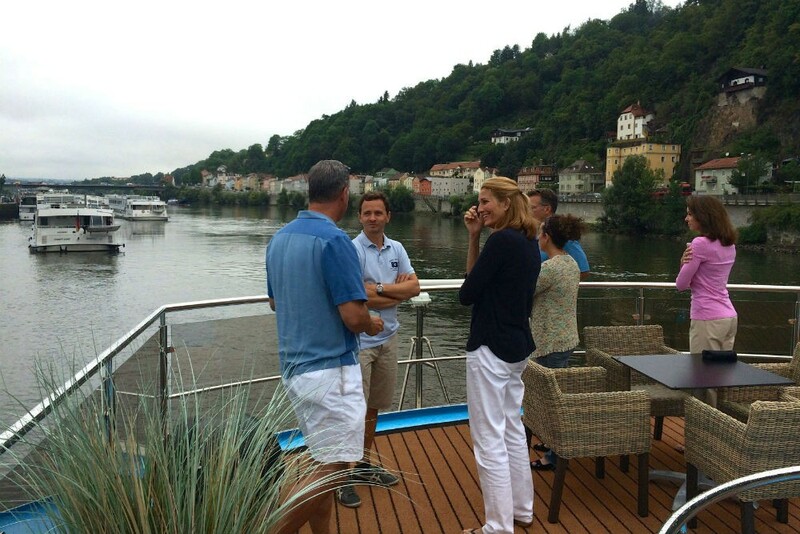 I am a convert to river cruising, although have only enjoyed it so far in Europe – AmaWaterways, Uniworld and A-Rosa. Having bicycles on board is a great plus, in my opinion, which Viking Cruises is lacking. I’m looking forward to trying Tauck, Scenic and Avalon. AMA Waterways has small gyms, too. Avalon has hot tubs and some of the finest bathrooms on rivers , especially in their newer ships with Panoramic suites . The Uniworld plush fabrics, quilting and headboards can make cabins feels less spacious. The new technology on Scenic is very exiting. They take their wireless headsets and add GPS so as you are walking in a city or sailing by a castle, you can identify which one it is. After questioning our guides, I have found that in many cities they work for Avalon, as well as AMA and Tauck. The river cruise ships in Cambodia, Vietnam, Myanmar, China and Africa are very different than their European cousins. Thank you Wendy! That was really helpful. I have taken many many ocean cruises and am considering trying a river cruise. I have never cruised without a balcony so I will check out AmaWaterways first. Check out Uniworld’s balconies as well. They transform from outdoor to indoor to outdoor again at the flip of a switch. Very cool.